The ComfortPro consists of an APU (auxiliary power unit), an HVAC (heating, ventilation (fan) and air conditioning system) and a DCP (driver's control panel). The APU is a diesel powered generator that runs using diesel fuel obtained from the truck's fuel tank. 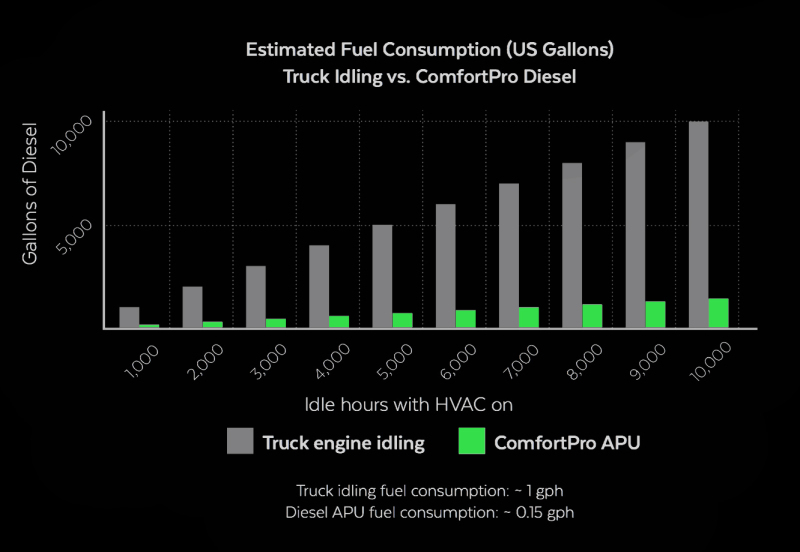 The APU provides power to the ComfortPro HVAC and power outlet that are installed in the truck bunk. Provides heating or air conditioning to the truck bunk. Provides power to run 115V appliances in the truck bunk. Charges the truck battery. 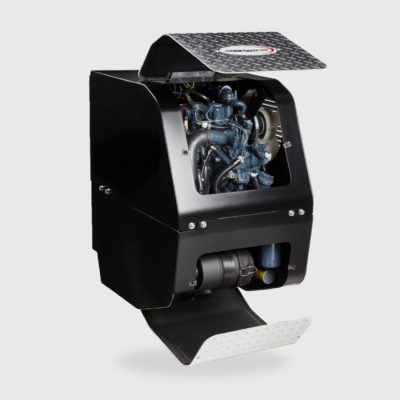 It is more efficient to charge the battery by running the ComfortPro than by running the truck engine. Ã¢â‚¬â€¹Warms the truck engine, by passing coolant that has been warmed by the APU into the engine. The ComfortPro Shore Power option lets you plug your ComfortPro into standard 115VAC electrical outlet (shore power) and use the HVAC without having to run the APU. This option provides additional fuel savings. For more information, contact ELW Company. The APU is designed to be started when the truck engine is not running, that is, when you are not driving. The main engine interlock option is available to prevent the APU from operating when the truck engine is running. This option can be installed when the ComfortPro is installed, or can be installed at a later date; contact ELW Company. When the main engine interlock option is installed, the only situation in which the APU and truck engine can both be running is in order to limp home. The winter cover protects the condenser from winter road debris such as salt and slush. To attach the cover, wrap it around the APU and secure with the hook-and-loop fasteners. or here for the Electric brochure!